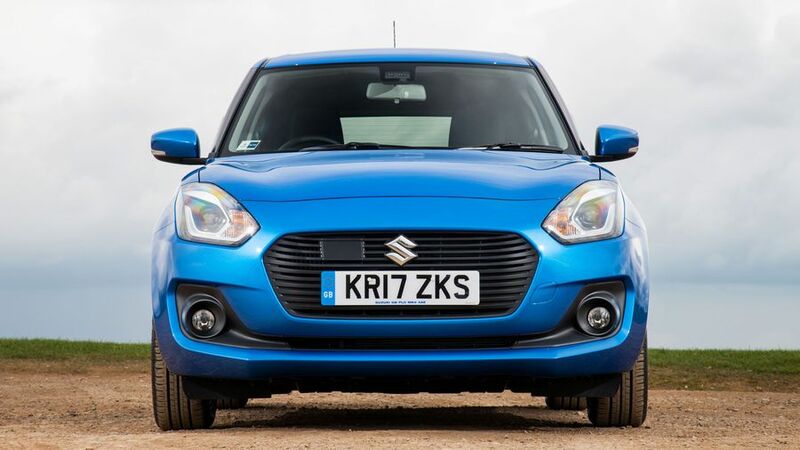 The Suzuki Swift is a stylish supermini that’s great fun to drive and comes with loads of equipment. 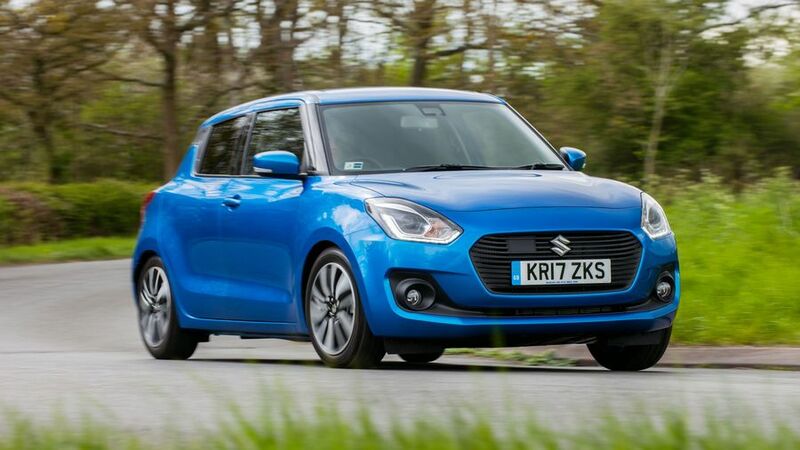 What’s more, it's very affordable to buy, more so than many of its supermini rivals. The iffy interior quality means it’s not perfect, but if you can look past that, it’ll be very appealing indeed. Fabulous engine, with lots of luxuries and safety kit. Mild hybrid system combines perky performance with impressive efficiency. Self-shifting gearbox ruins the Swift’s otherwise impressive economy. This is one of the areas in which previous Swifts really made their name, because buyers loved their simple-yet-elegant styling. There’s plenty to link the latest Swift to those cars, too, like the high shoulder line, tapering window line and upright lamp units. Some might say the simplicity of the design has gone, and some of the details are a little fussy and unnecessary, but the Swift is still a handsome little car nonetheless. Entry-level SZ3 cars have LED daytime running lights and rear privacy glass, but bear in mind they don’t have alloy wheels. SZ-T does, and adds front foglamps as well, while SZ5 cars are marked out by full LED lighting front and rear. 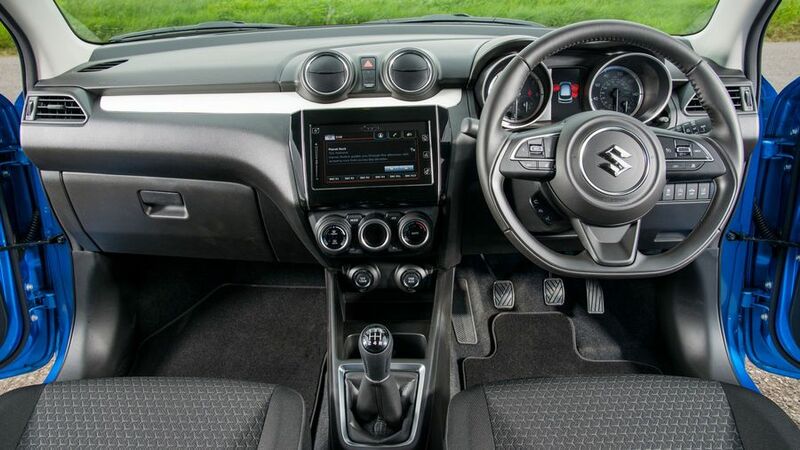 You probably won’t be expecting the Swift’s cabin to be the poshest in the supermini class, but even so, the interior quality is pretty underwhelming. There’s not a single soft-touch panel to be found anywhere, and all the surfaces on display have a rather rough, cheap-feeling finish. The assembly feels very solid, and the switches and dials work with a precise action, but you certainly won’t be feeling as pampered as you would in many other superminis. The dashboard layout is simple – if a little uninspiring – so everything is easy to find and use. The touch-screen infotainment system that is standard on the top two trims is reasonably easy to get to grips with, too. All-round visibility isn’t bad either, but it’s a little disappointing that only Swifts in the top SZ5 trim have a steering wheel that adjusts for reach as well as height, meaning some drivers might struggle to get comfy in more basic cars. 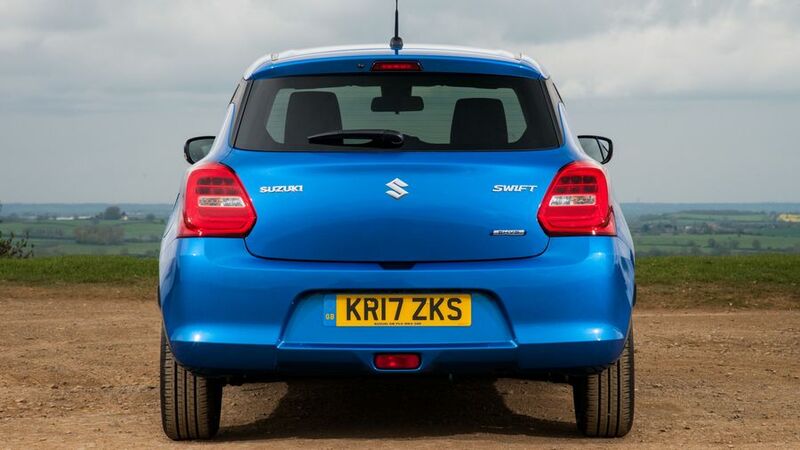 There are more practical cars in the supermini class, but the Swift does a decent job nonetheless. The rear seats have enough head- and knee-room for a pair of six-foot-plus passengers to sit comfortably for long periods of time, and a wide middle seat and low, flat transmission tunnel mean carrying a third in the back for short hops isn’t out of the question, either. The 265-litre boot is considerably bigger than in the old Swift, but in truth, it’s still a little small by class standards. 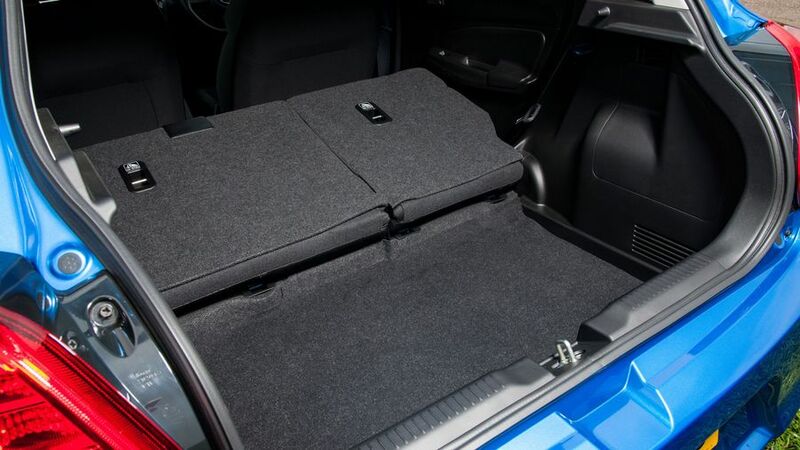 There’s a hefty lip to muscle heavy items over, too, and when you drop the rear seats, they don’t sit flat and a big step is left in the load floor. The Swift has always delivered its own unique brand of fun, and that’s certainly not been lost with the latest version. It’s terrific fun to throw around in a set of bends due to its tight body control, stable feel and steering that’s nicely weighted and delivers plenty of feedback. It’s not the grippiest car of its type – in fast corners, you feel like the car’s skipping over the surface in a controlled manner rather than biting into it ferociously – but it doesn’t detract from the fun. In Swifts of old, this fun came at the expense of comfort, with the hard suspension giving you a rather bumpy ride. The latest car, however, has improved things on that score. It still has a firm edge, but it’s a tad more forgiving than it was and should be comfortable enough for most customers. It’s a fraction quieter than it was, too, with better suppression of wind- and road-noise, but it could still do with being a good deal more hushed on both counts. Two petrol engines are available in the Swift, a 1.2-litre four-cylinder with 90 horsepower, and a turbocharged 1.0-litre three-cylinder with 110 horsepower. Both can be had with or without Suzuki’s SHVS mild hybrid system (a clever starter motor and generator unit, powered by a compact, high-capacity battery, which can assist the engine when the car is moving off and accelerating). Meanwhile, the 1.2 can be specified with or without four-wheel drive, and the 1.0-litre with a six-speed automatic gearbox to replace the five-speed manual standard ‘box. So far, we’ve only had the chance to drive a couple of versions, both with the mild hybrid system and a manual gearbox. The 1.0-litre really is a stonking little engine, flexible and eager from low down in the rev range, giving the car a really fizzy, lively feel. It’s not ultimately all that fast, but with a car like the Swift, you’d take perkiness over pace any day. The engine is pretty smooth and quiet, although the gearshift could also be a little smoother and snappier. We’ve also tried the 1.2 paired with four-wheel drive, and although it’s willing enough to be getting on with, it’s nowhere near as perky as the 1.0-litre. It’s a little bit more raucous, too, primarily because you have to work it that much harder to get going at a decent rate. 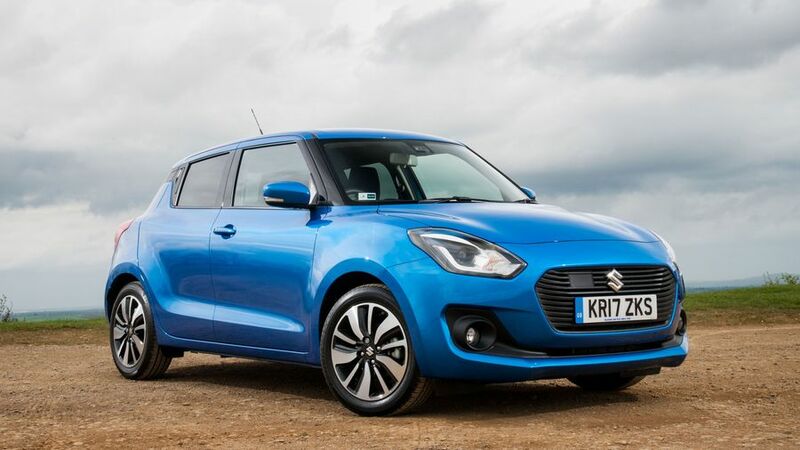 The Swift is priced way cheaper than more mainstream rivals like the Ford Fiesta and Volkswagen, and it’s also a useful slice cheaper than other rivals like the Nissan Micra and Hyundai i20. That makes the Swift very tempting indeed for buyers on a budget. The car’s running costs will be just as tempting. Only one version of the car fails to beat the 60mpg mark, according to official figures, and the cleanest ones achieve upwards of 65mpg. CO2 emissions duck as low as 97g/km, which will prove very interesting for company car drivers, and only the dirtiest fails to beat 105g/km. The Swift’s resale values – traditionally at least – haven’t been as strong as those of rivals, but when prices are so low to begin with, that has less of an effect on long-term running costs. One look at the Warranty Direct Reliability Index should give you plenty of confidence over how dependable the Swift will be. 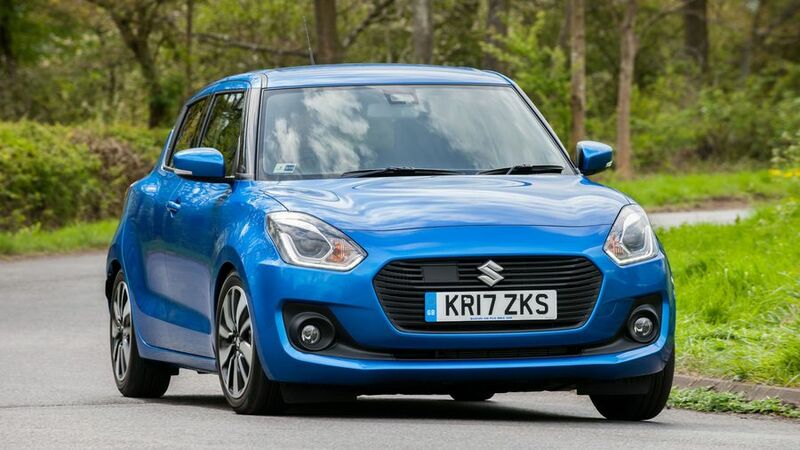 As a brand, Suzuki sits very near the top of the manufacturer rankings, and although the Swift is by no means the firm’s best-performing car in the study, it still achieves a pretty impressive score. The three-year/60,000-mile warranty you get as standard is about par for the course, even if it’s nothing special. All versions come with the basics, including six airbags, Isofix child seat mounting points and tyre pressure monitoring. It should be noted, however, that only the top-spec SZ5 car comes with the properly clever safety stuff: things like autonomous emergency braking, lane departure warning and automatic high-beam assist. The car has been subjected to Euro NCAP crash tests, but with mixed results. The high-spec car, with all its extra gizmos, achieved a reasonably creditable four out of five stars, but it was also tested as a lower grade model, and that scored only three stars. The standard of occupant and pedestrian protection was judged to be excellent, but the lack of active systems as standard meant it lost marks overall. 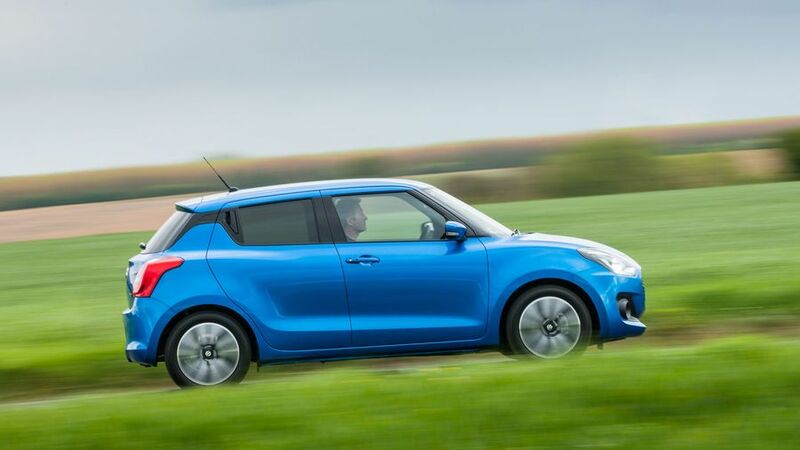 Even the entry-level SZ3 Swift comes with generous luxury equipment, including air-conditioning, electric front windows, a Bluetooth phone connection, a four-speaker stereo, and a leather steering wheel. SZ-T trim is well worth the step up, though, because it brings the touch-screen infotainment system and a rear-view camera, along with the aesthetic upgrades we mentioned earlier. SZ5 trim comes with even more tempting equipment, including climate control, sat-nav, two extra speakers, adaptive cruise control, keyless go, and powered rear windows. Because you want a car that’s fun to drive and funky to look at, and you also want it to be packed with equipment for an affordable price. On all these counts, the Swift fits the bill, and it also does a decent enough job on practicality and running costs. Highly recommended.